The Internet Governance Project will focus on digital free trade as one of its main areas of research and engagement for the next two years. We intend to both contribute to a more scientific understanding of digital trade and to engage with other civil society organizations around the world to resist economic nationalism, whether it emerges in authoritarian or democratic regimes. Economic nationalists oppose global integration of the economy and have negative views about free trade, immigration and international economic competition. Digital trade is the provision of goods and services through the Internet. 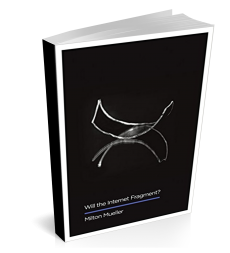 It relies on the unimpeded flow of data among legitimate Internet users. Digital trade includes more than just online commercial transactions, it also facilitates global supply chains and it has created a wide array of new information services and online platforms. Internet technologies have also changed business models, produced innovation in financial technologies and created new trade partners in unconventional ways. Digital protectionism is the nationalistic approach to the digital economy. It tries to confine digital activities to national borders or assert sovereignty over cross-border digital activities. Various forms of digital protectionism exist. Data localization can be classified as a non tariff trade barrier since it obliges Internet companies to have a physical presence in a territory if they want to provide their services to its residents. Blocking and filtering web sites and other forms of discrimination against foreign information service providers is another manifestation of digital protectionism. Many forms of cyber security regulations inadvertently or intentionally promote protectionism in equipment and services. WHY SHOULD CIVIL SOCIETY ORGANIZATIONS CARE ABOUT DIGITAL TRADE ISSUES? Trade agreements can have many benefits, from reduced prices for consumers to improved leverage on human rights. With the creation of online platforms, consumers’ search and transaction costs have been substantially reduced. Cross-border trade has become so easy that consumers can now engage with transnational consumer to consumer trade more than ever. Online global digital platforms have also provided new trade infrastructures, such as online payment mechanisms and online dispute resolution systems. But trade agreements are often negotiated only by special interest groups. Civil society needs to engage with digital free trade discussions to make their voice heard, and to pressure governments to come up with local laws that facilitate trade by enhancing privacy, competition and transnational data flow. Civil society groups can also have an effective role in impacting international processes that can in turn address local needs. Openness to new and competing information services is both an economic issue (free trade) and a human rights issue (free expression and association). The free flow of data has come under attack due to attempts by nation states to censor different views and to control and localize data. Two issues are at stake here from the civil society perspective: privacy and access to information services. Regarding privacy, imposing a local jurisdiction upon digital data flows can decrease privacy protection for residents of countries with weak or no privacy laws. There is also a linkage between network neutrality and traditional trade principles of nondiscrimination by national origin. Countries who block and filter the internet often combine economic protectionism with censorship, as they can more easily control local information service providers. The goals of digital free trade and civil society are often aligned. If you want to network with like-minded civil society groups and are interested in utilizing our DFT toolkit, give us your contact information and join our network. We will periodically send important updates on activities and issue developments in the global trade arena. We periodically update this page with the most relevant meetings for digital trade. Meetings range from United Nations processes to conference style meetings. Asia Pacific Economic Cooperation (APEC), the APEC study center consortium consists of academics and scholars and meets every year. APEC also has an e-commerce group which carries out various projects. Internet Governance Forum, a United Nations meeting on Internet governance, usually various stakeholder groups might get together in a main session or a workshop to discuss digital trade. This page will host research working papers and publications developed by the project team. Keep an eye on the IGP blog for developments, research outcomes, and publications. A backlash against the globalization of Internet-based information industries by national governments is producing many new policy restrictions on digital trade. These interventions include data localization laws, ownership restrictions on information services, cybersecurity exclusions and outright blocking of domains or services. We need a better way of evaluating the impact of these policies on the global digital economy. This proposal tries to make both a conceptual and an empirical contribution to that effort. Drawing on a recent OECD framework (Lopez-Gonzalez and Jouanjean, 2017) and on classical and “new” trade theory, we propose to treat data as a mobile factor of production in the digital economy, and then examine the way data flows, payment flows and foreign direct investment (FDI) are related. Policy interventions are likely to trigger adjustments in FDI as well as in payment flows, and the effects of both will be reflected in changes in data flows. We are especially interested in understanding how these factor flows respond to restrictive interventions in specific digital markets, and propose a focused empirical pilot study on the effects of a recent Chinese intervention in the cloud market. The APEC CBPR (Cross Border Privacy Rules) were established in 2011. After a slow start, five economies have signed on to the system, with a couple more declaring their intent to do so. In an era where the perceived virtue and momentum of multilateral agreements is in decline, the CBPR has developed a unique, incentive-based system. The voluntary system is intended to facilitate data-flows among APEC economies while protecting privacy. Organizations can be certified as compliant through a third-party, APEC-certified accountability agent which is supposed to significantly lower barriers to cross border data-flows amongst the member economies. Although the APEC system presents an alternative to traditional trade agreements, there is little literature on the subject. Partly because it is only operational amongst five economies and its precise impact is questionable. However, this approach potentially has a larger impact than antecedent trade agreements. CBPR requires that economies adopt privacy oriented national laws before they are allowed to be part of the system. These laws benefit the information technology companies and their customers within the country even if they do not engage in cross-border data flows. This paper will study the impact of the APEC CBPR system on the economies that have adopted them. By analyzing legislation adopted by these countries in order to be part of the CBPR, a tangential effect can be derived. We will also study the process and requirements to be certified by the third party accountability agent and look at the incentives for these companies to do so. Finally, we will look at the machinations that led to only 5 economies sign on to CBPR, after all, 21 member-economies had agreed to the underlying principles of the system, the APEC Privacy Framework.